Apple's numbers were down across the board for its 2016 second fiscal quater, but music numbers were up. Apple Music showed a nice increase to 13 million subscribers compared 11 million in February, and that helped bring an end to what has been a declining market segment for the iPhone and Mac maker. Our Music business has been declining, but we've hit an inflection point thanks to Apple Music. We think we've reached the bottom. Spotify currently has some 30 million subscribers, which makes Apple Music seem relatively small in comparison. That said, Apple music is growning at a substantially faster rate. It took Spotify about six years to reach the 10 million mark, where Apple Music topped that in only ten months. Assuming Apple really has hit the bottom point for its music business, it's likely we'll see Apple Music to continue to grow in the coming quarters. If so, there's a good chance we'll get an announcement bragging about even more subscribers when Apple Music hits its one-year anniversary in a couple months. That comes as small bit of good news to go along with quarterly numbers that clearly disappointed analysts. Apple reported US$50.6 billion in revenue, just beating its own guidance but falling short of analyst expectations. The company 51.2 million iPhones, 10.2 million iPads, and 4 million Macs during the quarter. Only the iPad beat analyst expectations. Apple doesn't report Apple Watch numbers, so all we know is that the company says it's still pleased with sales. The Apple Music numbers, however, show services are playing a more significant role in the company's bottom line. 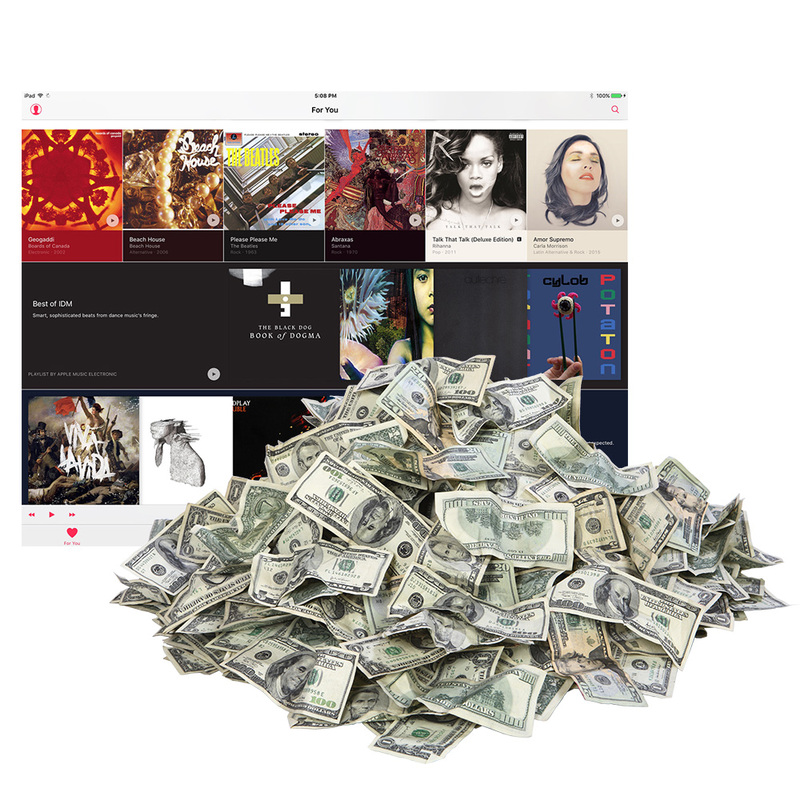 Quarterly revenue for Apple Music, iCloud, Apple Pay, iTunes, and the App Stores hit $9.9 billion, which doesn't come close to the revenue the iPhone generates, but is a 37 percent year-over-year increase. At 13 million subscribers in only ten months, Apple Music is a major player in the streaming music market. That doesn't take away the sting from the overall lower quarterly numbers for investors, but it is at least a small consolation—and something to watch closely in the coming months.